Controversial topics in the history of the country and the Hebrew community in Romania are discussed in Oana Giurgiu's Aliyah DaDa, the documentary launched in Romanian cinemas on March 26. Following 130 years of the emigration of Romanian Jews towards the Holy Land, both history of East Europe and Israel are revealed in a light, colourful film depicting history in human stories and collages, as a tribute to Tristan Tzara – born in the same town from where first Jews emigrated to Palestine in 1882. Aliyah DaDa is a personal, well documented insight by director Oana Giurgiu into the history of the Jews in Romania. A surrealist painting that builds visually through a series of collages, combining historical context memories and individual stories. The historical tale is visually trimmed in the Dada style as a tribute to the pioneers of this movement, Tristan Tzara and Marcel Janco, two Jews of Romanian descent. The film tells the story of a non-Jew Romanian, raised under the supreme Communist truth, who starts a journey to discover the reality behind the Romanian jews aliyah (the return to the Holy Land). The story brings up the adventure of the first settlers that abandoned their modern life in East Europe at end of XIX century, for surviving in a primitive way in the hostile Palestine; then reveal the best hidden horrors of the Second World War in Romania, or Romanian communists’ secret deals for “trading” the Romanian Jews to Israel, where they became the fourth group among all population. 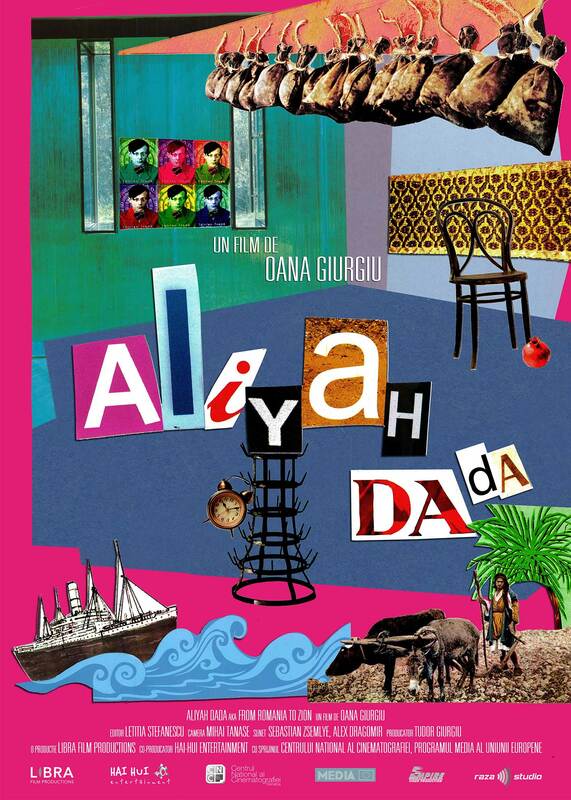 Aliyah DaDa is the first documentary film directed by Oana Giurgiu , editor of the film is Letitia Stefanescu and Mihai Tănase is the cinematographer. The film had its world premiere at the International Festival of Documentary Film Visual Anthropology Astra Film Fest, in October 2014. The film is produced by Libra FILM, supported by the Romanian National Film Center and the MEDIA Programme . The project was developed under the program ARCHIDOC.